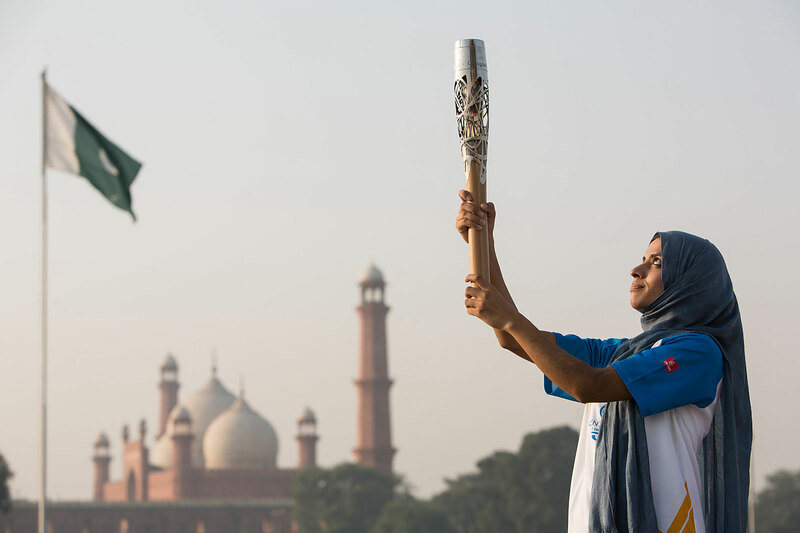 The Queen's Baton is carried by Pakistani karate athlete Benish Akbar, with the Badshahi Mosque in the background, in Lahore, Pakistan on Thursday 17 October 2013. Pakistan is the third country to be visited during the Asian leg of the baton's journey through 70 Commonwealth nations and territories. Photograph by Jeremy Sutton-Hibbert, copyright © Glasgow 2014 Ltd, 2014.